Netflix’s Smart Downloads feature debuted in July 2018, but it was exclusive to Android. At the time, the company said the feature would hit iOS devices some time later that year. The streaming giant missed its deadline for some reason. However, Netflix’s Smart Downloads came to iOS on Thursday. Netflix has supported downloading shows and movies for offline viewing on iOS for a while. However, the process has been manual until now. Netflix’s Smart Downloads feature automatically downloads the next episode of a show you are watching when you finish the current episode. After the next episode is downloaded, the previous one is removed automatically to make space for more downloads. “Today, we are excited to introduce Smart Downloads. Now, when you finish watching a downloaded episode, Smart Downloads will delete it, and then automatically download the next episode. You watch, we do the work,” Netflix said in a post announcing the new feature for its iOS app. 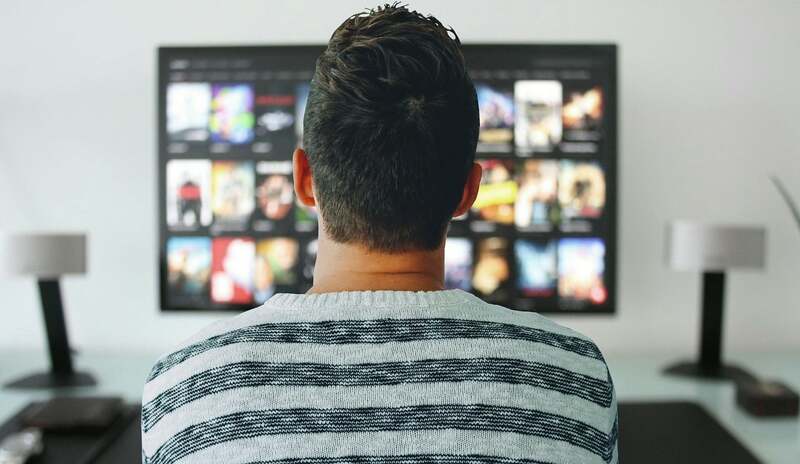 The feature automates the entire process of downloading and deleting TV episodes to ensure that you keep watching shows without worrying about downloading the next episode or freeing up space. Users also have the option to manually enable and disable Netflix’s Smart Downloads for iOS. To turn the feature on or off, select the Downloads icon in the Netflix app and then tap “Smart Downloads” in from the top of the My Downloads section. From here, you can toggle Smart Downloads on or off. You can also to turn the feature on and off from the App Settings. To do this, select the Menu icon and then “App Settings.” Then under the “Downloads” heading, use the toggle to turn Smart Downloads on or off. Netflix’s Smart Downloads feature is not for users who re-watch a series or just certain episodes because the last episode is automatically deleted. However, it does work intelligently when it comes to deleting previously-watched episodes. For example, suppose you have already downloaded the first three episodes. The feature will then download the fourth one after you are done with the third one, and it will automatically delete only the first episode (not the second and third episodes). Another smart thing about the feature is that even if you are in the middle of watching multiple shows, Smart Downloads will ensure that the next episode of each show is ready for viewing. Netflix’s Smart Downloads feature is perfect for those on the go, like anyone who often rides on underground trains. Such users often deal with dead spots where internet connectivity is low. The feature is also useful for those on limited data plans. It works only on Wi-Fi, which ensures the automatic downloads don’t eat up your cellular data. “The feature is one more way we’re making it easier for Netflix fans to take the stories they love wherever they go,” the streaming firm says. After the launch of Netflix’s Smart Downloads for iOS, the feature is now available on all three major platforms. with Windows 10 being the third. To enable Smart Downloads on your iOS device, go to the App Store and install the latest version of the Netflix iOS app. Offline features like Smart Downloads are especially crucial for subscribers in emerging markets where connectivity is still a concern. This is probably why Netflix introduced the feature on Android first. Netflix has recently been focusing heavily on offline access to its app to further expand its user base as the U.S. market saturates. Late last year, the streaming firm started testing a mobile-only subscription which will apparently be more affordable. In the last quarter, the company added 8.8 million new subscribers, including 7.31 million non-U.S. users. In December, Netflix was also testing another new feature that would allow users to watch a single scene again. Some subscribers noticed a pop-up that asked them if they wish to “watch this scene again.” In a statement to The Los Angeles Times, the company confirmed it was testing the feature. “We’re trying out a feature which gives Netflix members the ability to rewatch favorite scenes and memorable moments with the click of a button,” the streaming firm said.